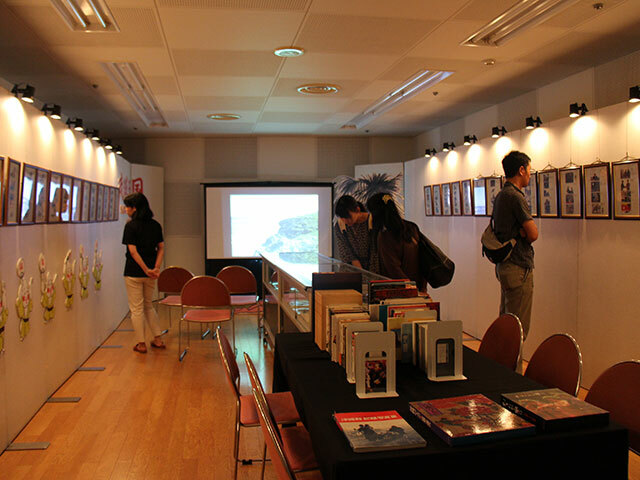 Yoji Kuri Exhibition "CRAZY MANGA"
An inspiring and overwhelming exhibition of 500 latest illustrations, hand drawn by Yoji Kuri! 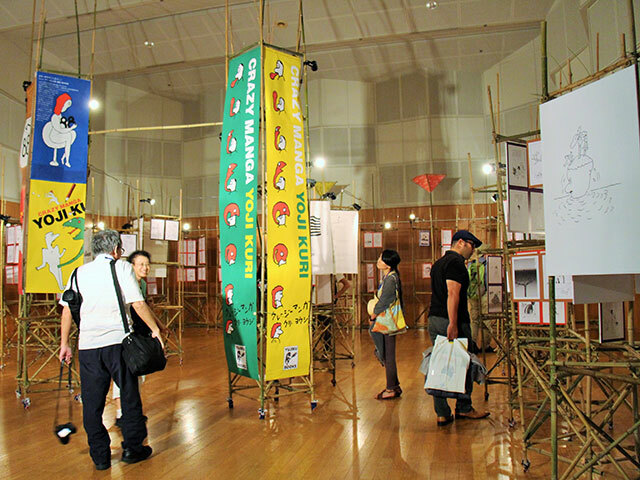 Screening and exhibition of works by Renzo Kinoshita, the founder of HIROSHIMA Festival. Also, "Renzo Kinoshita Prize" was established in1998 in memory of his contribution to the development of animation field. 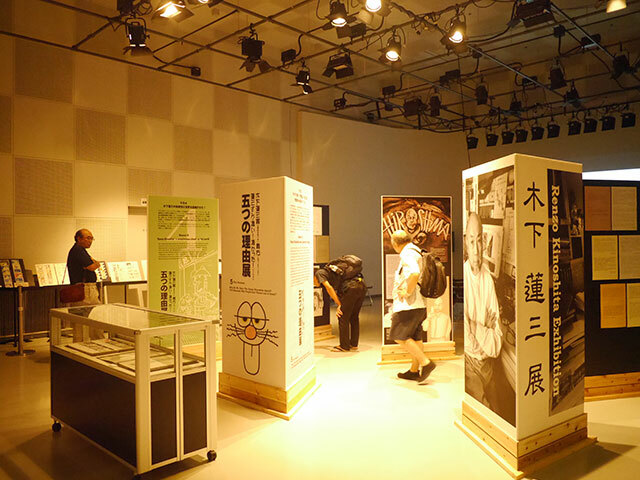 At the Small Music Room, an exhibition of original storyboard from "RYUKYU OKOKU - MADE IN OKINAWA"(2004, 17'43") directed by Renzo Kinoshita and Sayoko Kinoshita. 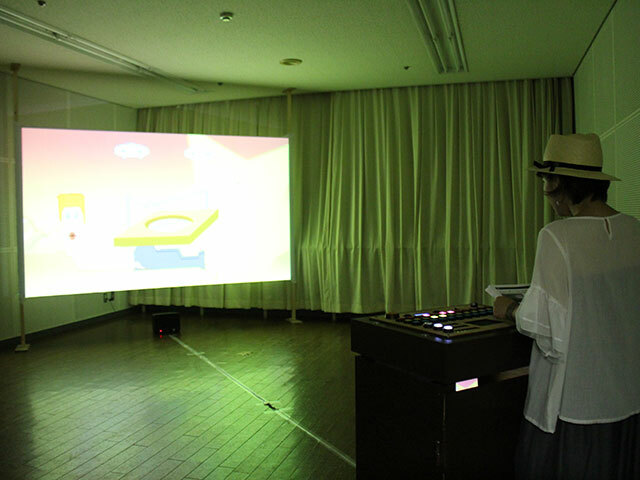 At the Audio-visual Studio, screening of various animation shorts directed by Renzo Kinoshita. 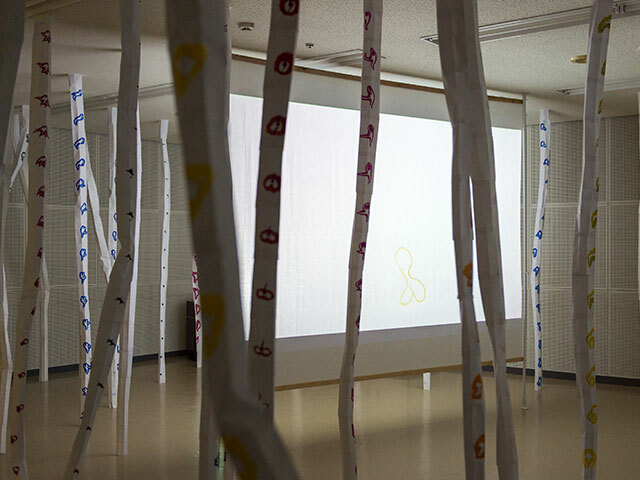 "I can't go back to yesterday - because I was a different person then"
A video installation exhibition by David Buob, a member of the International Selection Committee of HIROSHIMA 2016. It is an ongoing evolutionary project created through a combination of animation and three-dimensional images. 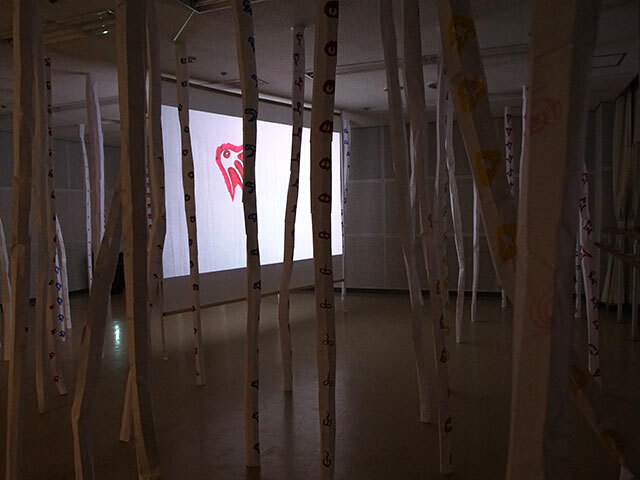 The video installation "I can’t go back to yesterday - because I was a different person then" consist of a hand drawn animation loop of evolution like morphing creatures and a sculpture made out of the very same paper, the original sheets drawn for the animation. So there is the moving image and the material produced for it in the same time present. As well the sculpture resembles one character of the animation, spider like legs coming through the ceiling, turning the space into a strange forest. 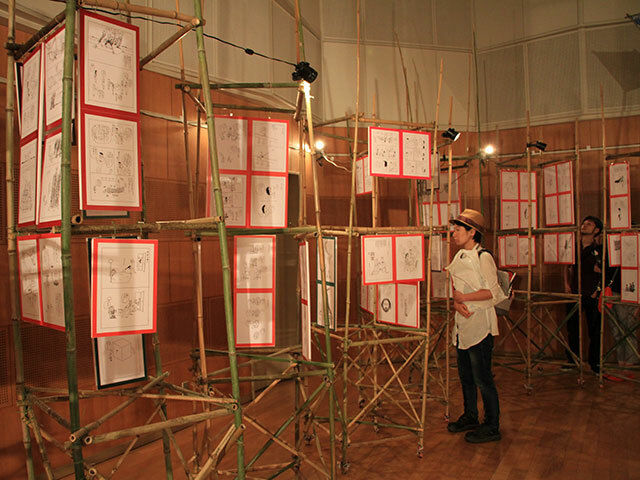 As the installation is an ongoing evolutionary project, which grows with every time it is exhibited, there will be new drawings and animation shown in Hiroshima together with the already existing. An interactive audiovisual animation instrument synchronizing light, music and animation created by Marieke Verbiesen, an artist from Norway. Mayhem Machine is an interactive instrument that produces synchronised sound, light and animation compositions, controlled by the audience via a custommade interface. 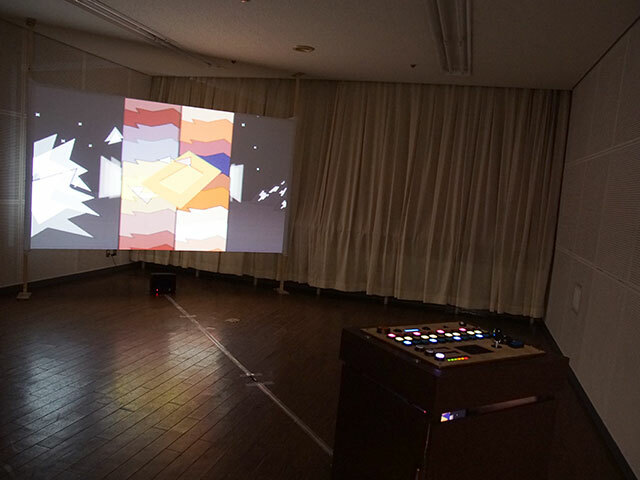 The installation features instruments that can be used to control a symbiotic set of animations and sounds, and offers tools to further enhance the audiovisual compositions made by its users. Mayhem machine is designed for interaction, the audience can use its playful tools to invoke "mayhem". Marieke blends the use of animation & obsolete technology like old computerhardware and super8 film with new technologies such as interactive interfaces and motiontracking in works based on B-Movies, Computergames and Science Fiction.